Machiavelli wrote in his famous treatise on governmental politics, The Prince, that if your attempts to manipulate the court with backroom promises, pressure on trade, or the revelation of opponents’ secrets don’t achieve your ends then you should assassinate the leader of the neighbouring city with a succubus. I think it’s in a footnote. You can see that style of governance in action in the new Age of Wonders III trailer. 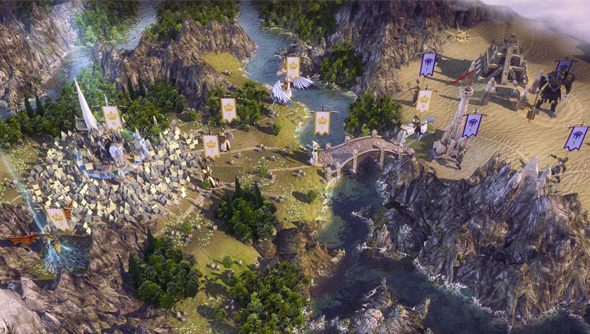 Age of Wonders 3 is taking the traditional classes of RPGs – paladins, warriors, rogues, et al – and turning them into leader archetypes. It’s as though the rogue in your party from Baldur’s Gate has retired from adventuring, taken her good standing in the kingdom following the whole saving the world thing, and been elected to office. Her abilities are repurposed from the isometric, small-scale battlefield and applied to macroscale of geopolitics, smoke bombs become a means to hide your entire city, and poison darts can be used to assassinate enemy statesmen. By applying RPG classes to your leaders, Triumph have made it easy to recognise how you should play each role. With the rogue class revealed we’ll likely see videos for each of the other classes appearing soon. There is one downside to this trailer, though. There’s far less tea in it than I’d like.